Yamaha has been the undisputed leader in the premium two-wheeler bike segment. Their bikes have always been viewed enviously by its competitors and by the longing eyes of various customers. The Yamaha sports bike is a combination of great looks and powerful engine performance over the years at very competitive prices. Yamaha introduces various different sports bikes at different price range in India. Let us take a look at the best of the best bikes available. The Yamaha MT-09 brings an all-new radial design concept in sports bikes across the country with its great looks. The MT-09 uses a lightweight, 3-cylinder, liquid-cooled, 847cc DOHC engine to power the bike with a 6-speed mesh transmission system. The engine motor can generate a max power and torque of 115PS and 87.5Nm. The front end of the bike is fitted with telescopic fork suspension whereas the rear end uses a link type suspension. The MT-09 uses 17-inches wheels alongside tubeless tires for better road grip. Other features include ABS Brake system, diamond chassis type and a 14-liter fuel tank capacity. The YZF R1 belongs to the premium sports bike category available in the India. The bike is equipped with a massive 998cc 4-stroke DOHC engine. The engine motor includes 4-parallel cylinders and is liquid-cooled and can generate a peak power of 147.1PS. The bike uses wet, multiple dics as clutch type and has a 6-speed constant mesh transmission system. The R1 uses an aluminum Deltabox frame and 0.43mm front telescopic fork suspension systems. The front end is equipped with dual hydraulic disc brakes whereas the rear end utilizes only one. The tires on the bike are 17-inches tubeless and the fuel tank measures 17 liters. The Fazer FI is among the most popular sports bike in the affordable segment in the country. The 149cc 4-stroke air-cooled SOHC engine is among the best in its price range. The bike utilizes a smaller 5-speed mesh transmission gearbox against its elder siblings. The suspension system on the bike is a combination of telescopic fork and monocross shock absorbers. The front end is equipped with disc brakes while the drum brakes are added to the rear end to support the 17-inches tires on both ends. The fuel tank has a capacity of 12L and the Yamaha Fazer price is set at Rs. 87,405. 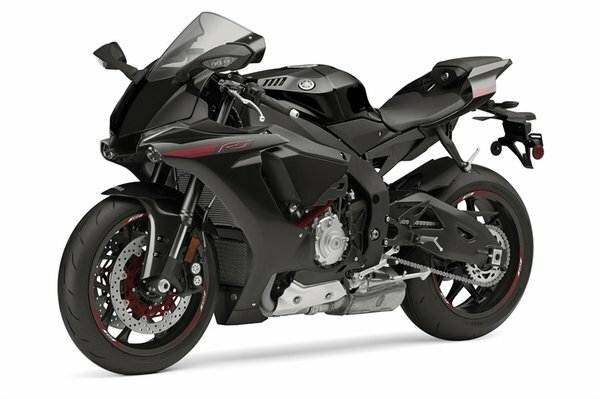 Yamaha launched a new special edition YZF R1 and renamed the bike as R1M. While most of the specifications of both the variants of the bikes are similar, a number of features on the original bike have been upgraded in the R1M. Although the bike uses the same 998cc liquid-cooled, 4-stroke engine as the R1, the engine performance has been massively upgraded due to the forward-inclined 4-parallel cylinders on the bike which are able to provide a power of 147.1 Nm. The YZF R15 is the best-selling sports bike series in the history of Yamaha. Priced very competitively to compliment the good looks and great engine performance, the bike soon became a style segment in the country. The R15 V2.0 uses a liquid-cooled, 4-stroke 149cc engine with a return type 6-speed transmission system and is able to provide a power of 17PS. The bike utilizes a Delta Box frame chassis. The wheels and tires on the bike measure 17-inches are equipped with disc brakes for stopping. Yamaha has been providing the best premium sports bike in the country for a very long time. The Yamaha Fazer price range is really very decent for the people who are low on their budget.